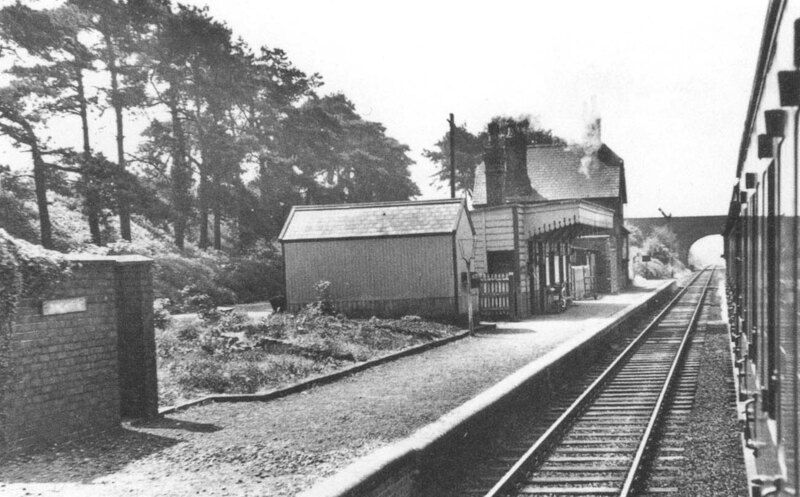 Looking along Dunchurch station's down platform towards Leamington on 16th May 1959. The basic configuration of the station had not changed since it had been built some eighty years previous. The only difference to the down platform is the removal of the fencing on which enamel signs were so prevalent in image 'lnwrdun3986'. The brick built building on the left is the Gentlemen's toilets, the sign fixed to its front being the station name board (running in board being the correct terminology) as the Gentlemen's sign was fixed to the side facing the platform buildings (as can be seen in image 'lnwrdun3962'). The step in the platform edge, in the foreground, indicates that the platform had been extended to accommodate longer trains. Most likely this was undertaken in 1884 when the line was doubled, some thirteen years after the station had been opened.